For those of you who have been around the mobile gaming scene since the early days, you may remember that some of Sega’s earliest mobile efforts were quick and dirty ports of some of the classics from their Genesis/Mega Drive era. While the games themselves were quite good–including hits like Gunstar Heroes, Shinobi III, Sonic 1 & 2, Shining Force, Golden Axe, and Street of Rage–the mobile ports were about as crappy as could be. They all were the basic ROM that ran inside the same emulator shell with virtual buttons just sort of slapped on there, and some enterprising gamers even discovered that you could swap out the ROMs so that you could play Genesis games that weren’t even officially released on iOS. Ah, the good old days. Anyway, as Sega is often known to do, they pulled all of those Genesis iOS ports from the App Store a couple of years ago and, given the low quality of those ports, it wasn’t that great of a loss. 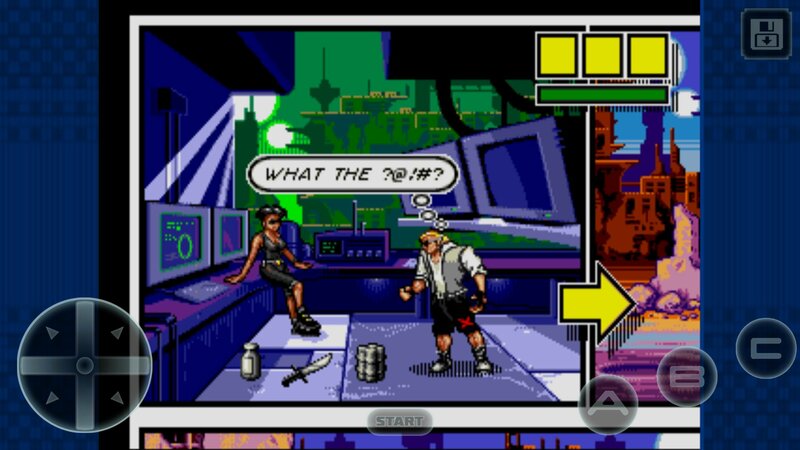 But apparently Sega is partying like it’s 2010 again because they’ve just release an iOS version of their classic Genesis beat’em up Comix Zone in the Philippines App Store. I fired up my PH account and after taking Comix Zone for a cursory spin it seems this is a higher effort than their previous Genesis releases but still about as barebones as they come. You get virtual representations of Sega’s weird circular d-pad and the classic A-B-C buttons, with no options to rearrange or resize them. Nor are there any sort of video display options, so you’re stuck with a windowed version of the game and a blurry original resolution. The one bright side is that the game does support MFi controllers. More interesting to me is the pay model for this version of Comix Zone. It’s free to download and ad-supported, with a banner ad on the title screen, a video ad that plays when you start a game, and the ability to save the game to the cloud by watching yet another video ad. Incentivized game saves are a new one to me! However, you can actually purchase your way out of all this with a one-time $1.99 IAP which disables all ads and allows you to save in both the cloud and locally. That’s another catch for free players, you’ll need to be connected to the internet to play in order to be served ads and save. Honestly I don’t mind this pay model at all. It’s pretty aggressive if you’re a free player, but I’m more than down to buy my way out of all that. I’d be much more willing to do that if the port itself was a bit less basic, though. Another strange thing is that Comix Zone is currently only in the Philippines App Store, and seeing as it’s not a traditional server-based free to play game, I’m not sure why there’s a limited launch. The version number shown in game is 0.3.7, so perhaps they’re just testing some things out on their way to version 1.0 which I sincerely hope would include a few more bells and whistles. If that was the case, and this continues to be the pay model, I’m MORE than down for Sega to release a ton of Genesis ports again, especially if they have MFi support. As it is now, Comix Zone kind of falls into that “novelty only" spot that Capcom’s recent mobile ports have fallen into, and if you have access to a PH iTunes account you can check it out for free with the link below and see what people are saying about it in the forum discussion. 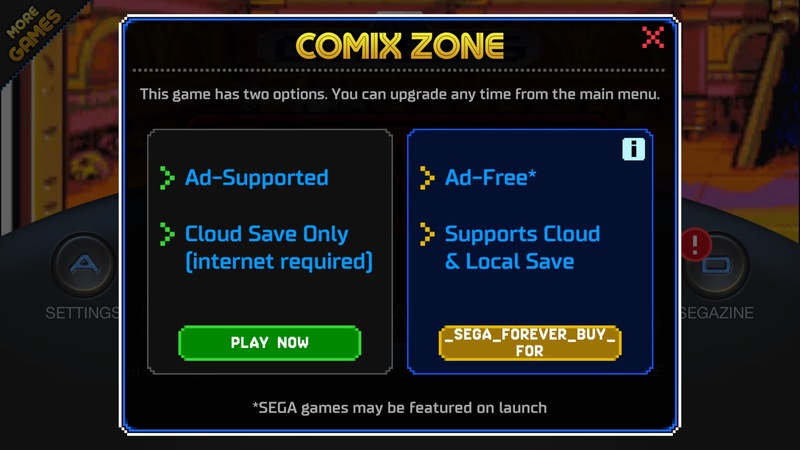 We’ll keep you in the loop if Comix Zone releases in more territories or if Sega starts putting out more Genesis ports.